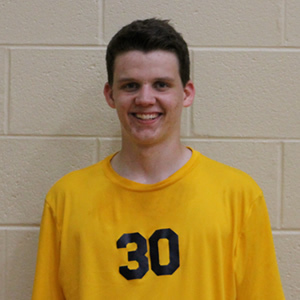 Caleb is the lone senior on the team; technically a junior, he is graduating early classifying him as a senior. Caleb plays middle for the team always providing powerful hits and blocks. He is also one of the captains on the team providing support in time of need for the rest of the guys. As Caleb graduates he will certainly be missed not only on the court but everyday as a teammate. 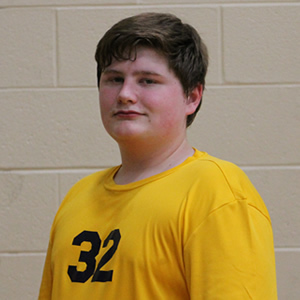 While Jack mainly plays JV, he plays a massive role for the varsity team. He is known as the President of the Bench. Using the whiteboard, Jack writes “YES” as big as possible. Everytime the team scores a point he stands from the bench yelling “YES YES YES”. This is what gets the varsity guys on the court motivated and gives them the confidence to get the job done. Jack plays a big role on the team, and it’s hard to see a team without him.